We are pleased to be sponsoring a category for the MJ Awards for the second year in a row. 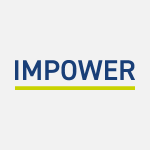 This year our behaviour change expert, and Director at IMPOWER, Jon Ainger will be championing a new category focusing on demand management and behaviour change. The category looks at how every pound of public money spent is intended to improve people’s lives. But too often the behaviour of public servants and citizens prevents us achieving this goal. The award will recognises those Local Authorities (and their partners) that have developed positive relationships with citizens, through changing both their own behaviour and that of their customers, and saved money and improved outcomes as a result. The judges for the category will be Jon Ainger, IMPOWER, Michael Coughlin, Reading Borough Council and Daniel Ratchford, London Borough of Sutton. Deadline for entry to the awards is 3rd February.